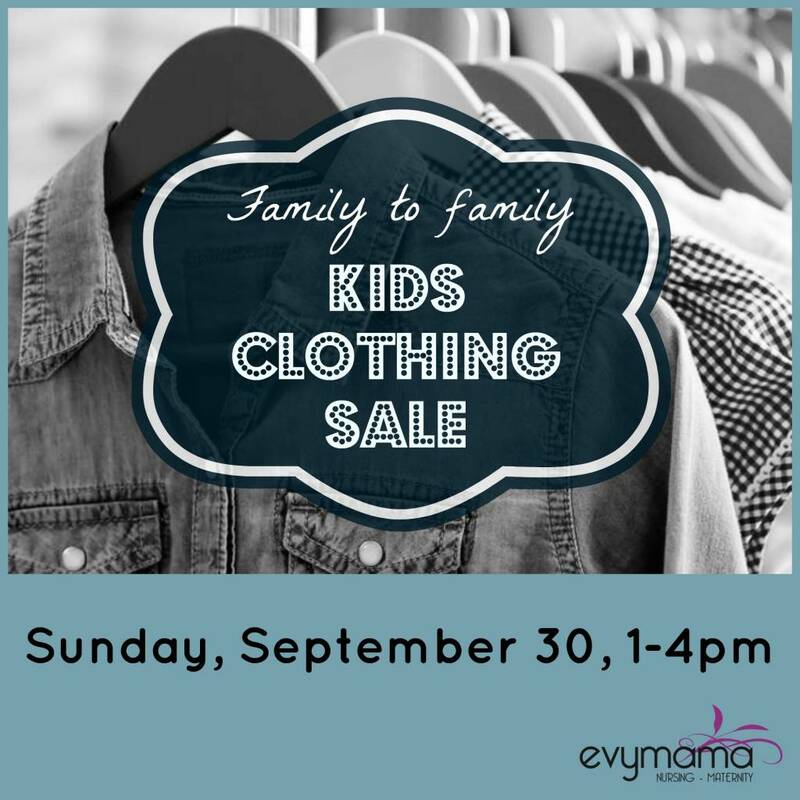 Family to family kids clothing sale at Evymama! Sell your gently used kids clothes, find great deals at our family to family kids clothing sale! For one afternoon, Evymama's retail floor will be transformed into a second-hand kids clothing marketplace! Join us to get some great deals on second-hand kids clothes from families like yours! We hope you'll come out and show your support for this event! We hope to make it Evymama tradition. Just want to shop the deals? Buy your FREE ticket to the sale now! Please remember to bring cash, and your reusable shopping bags! Want to sell your gently-used kids clothes & shoes? Reserve your spot by purchasing a seller ticket for $18. Proceeds from seller ticket sales will go to The June Callwood Centre for Young Women. Vendors keep all proceeds from their own clothing sales. For an extra act of generosity: Consider donating all or part of your earnings to The June Callwood Centre. Donation forms will be available at the event! Please be selective! Choose the best of the items you wish to sell. Keep the season in mind: fall and winter clothing will sell best. Please bring your own change. You can also process cards on your own credit card reader. Babies in arms only, in a carrier. We ask that older kids attend only with another adult in charge of them. Have a home-based business or a pop-up shop?